A bold, tremulous feat of a debut album, the Norwegian pop princess has crafted a light narrative that is uniquely impressive, impassioned and remarkably relatable. In the few years leading up to the release of her debut album, Norwegian singer Sigrid has built up a musical CV so polished that it’s almost suspicious. Garnering international acclaim and commercial success with just the release of 2 EPs (one in 2017 and another that followed in 2018), she also won the BBC sound of 2018 Award, debuted at Glastonbury, has amassed over 500 million listens across streaming platforms, and is set to support both George Ezra and Maroon 5 on their international world tours. All of this before even releasing an LP; it feels like the music industry is holding its breath to see if this Norwegian pop princess can really live up to the expectations placed on her shoulders – will she be another excellent Scandinavian pop import? Or disappear in the vast crowd of emerging pop artists? 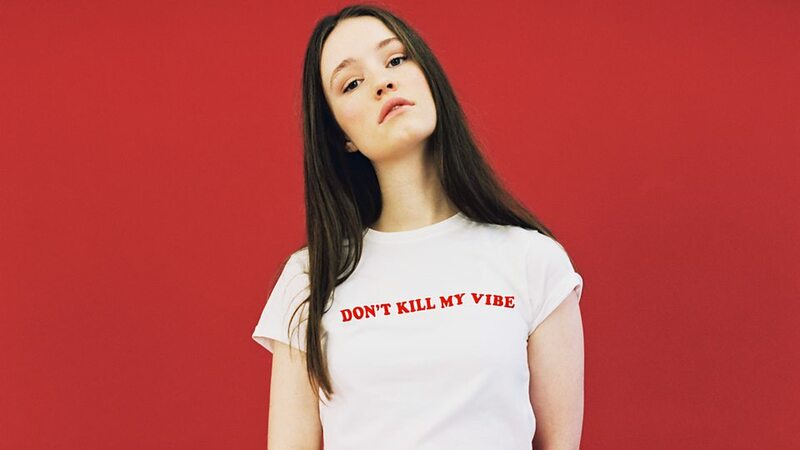 On her debut, Sucker Punch, Sigrid effectively dips her toes in a slightly less mainstream current in order to navigate the space between Top 40 mainstream success and indie pop credibility. Her debut captures the spirit of a young adult navigating through life and love while also embracing the messiness of growing up, making mistakes and learning from the past along the way. It is emotionally driven with hook-heavy pop songs yet the album is unlike any other breakout pop albums or, at least, as nuanced as this one. The diversity in the sounds and themes of the tracks is never a distraction from the product as a whole. Sigrid effectively carves out her own sonic niche within the crowded pop landscape. The titular opening track (“Sucker Punch”) has received quite a lot of airtime and it’s a meticulously-engineered and perfected pop song – a mix of personality with precise ingredients that ensure the song’s earworm qualities are as finely-tuned as possible. Some of her tracks are deeper lyrically (“Basic,” “Vain”) where beautiful harmony accentuates the bridge sections and extensive synths at the ends create a powerful ending for a powerful message. These songs are more pared-back showcasing Sigrid’s versatility and hints at more to come. She tends to catch listeners off guard and does so in a way that retains cohesion. As to be expected with most pop records in the streaming age, repetitiveness is unavoidable – not because of the songs themselves than because we’ve heard the same tropes elsewhere, over and over again. Songs like “Don’t Feel Like Crying,” and “Sight of You” evoke playfulness that one would normally associate with the lyrics and sound of Carly Rae Jepsen (the latter almost sounding like a thematic sequel to ABBA’s “Super Trouper”). Sigrid is at her best when her eccentric singing style is front and center. Her voice shifts from soft and disjointed, to confident and bubbly, to powerful and demanding – sometimes within the same track. She easily pushes her empowering messages of self-respect and inner strength to the fore. It’s a simple joy to hear an artist early on in her career enjoyably singing songs that are so relatable and timeless while remaining untouched by label-endorsed hyper-sexualization or tired tropes of fame. The Norwegian pop princess has created a truly unique and bold debut record which I’m sure will surely graduate her into the Pop Queen status in the near future.